Today in Tech News Digest, new smartwatch hardware is announced in the form of Pebble Steel, Toshiba launches its first Chromebook, AT&T potentially kills net neutrality with Sponsored Data, Yahoo users are warned of a malware threat, Panasonic announces Firefox OS-powered smart TVs, retro games are made playable online thanks to the Console Living Room, and Michael Bay fails to deliver at CES 2014. CES 2014 has kicked off, and new hardware is being shown off left, right, and center. The biggest reveal on day one was arguably the new Pebble Steel, which turned heads thanks to being aesthetically pleasing, contrary to the fugliness of most smartwatches. The new Pebble Steel features a stainless steel strap and a face made from Corning Gorilla Glass. The result is a smartwatch that looks very much like a traditional wristwatch. Only smarter, naturally. And, as it’s priced at $249, more expensive as well. Pebble also announced that its app store is finally ready to be launched, with users able to access it by the end of January. Owners of the original Pebble smartwatch Pebble Smartwatch Review & Giveaway Pebble Smartwatch Review & Giveaway Smartwatches are the new hottest trend in today's tech world, and the Pebble e-ink watch helped start the fire. 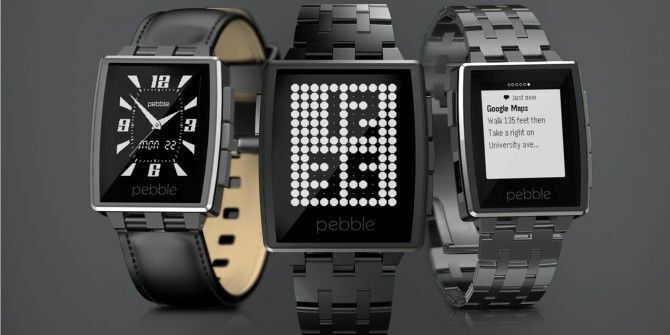 The most successful Kickstarter project to date, the Pebble raised over $10 million during its 1-month... Read More needn’t panic about the new update, as the company is promising all software will work on the old Pebble as well as the new Pebble Steel. Just a day after learning how well Chromebooks did in 2013 Chromebook Conquers, Digital Dwindles, Pandora Alarms, Snapchat Sorry? [Tech News Digest] Chromebook Conquers, Digital Dwindles, Pandora Alarms, Snapchat Sorry? 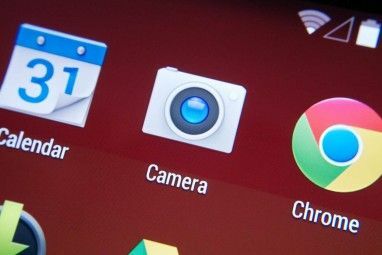 [Tech News Digest] Chromebooks sold well in 2013, digital music sales declined in 2013, Vine app for Web, Snapchat fails to apologize for recent hack, tweet becomes a newspaper advert, Pandora's alarm clock, and Wikipedia's draft function. Read More , we find Toshiba joining the party. The Japanese firm unveiled its first Chromebook at CES 2014, and it’s a rather good-looking piece of hardware featuring a silver body, black keys, a 13.3-inch screen, a Haswell-based Intel processor, and the (almost-obligatory) 16GB SSD. The Toshiba Chromebook will be available to buy in the U.S. from Feb. 16 both online and at major retailers. With yet another OEM joining the Chromebook cause it seems Google may be onto something with its Chrome OS hardware. AT&T's sponsored mobile data plan is a glimpse of the future without net neutrality. AT&T used CES 2014 to announce Sponsored Data, a new service that lets companies pay for mobile data usage. Under the scheme a firm can pick up the tab when a particular service or app is accessed, with the firm rather than the customer being charged for data charges. This has, rather inevitably, split opinion. AT&T is claiming this is a “win-win for customers and businesses,” while net neutrality advocates suspect this is the start of a trend that will end badly for people who want Internet access to be offered on a level playing field, regardless of who is footing the bill. Anyone who has visited Yahoo.com recently is being warned to look for signs of a malware infection Thousands Of Yahoo.com Visitors May Be Infected With Malware Thousands Of Yahoo.com Visitors May Be Infected With Malware A Dutch security firm has reported that users who visited Yahoo in the last week may be infected with malware. Read More . 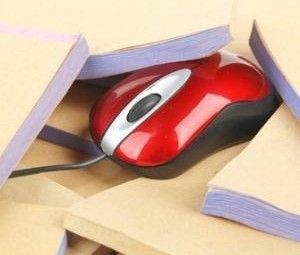 The malware is alleged to have been spread through an ad, exploiting a vulnerability in Java (no surprise there). Yahoo has removed the ad in question, with worried users advised to block access to two suspicious IP addresses. Panasonic has announced that Firefox OS will be powering its smart televisions in the future. Connected TVs have had a mixed response so far, with set-top boxes and games consoles proving to be more popular ways of accessing Internet features, but Panasonic clearly believes Firefox OS will give its televisions an advantage over the competition. 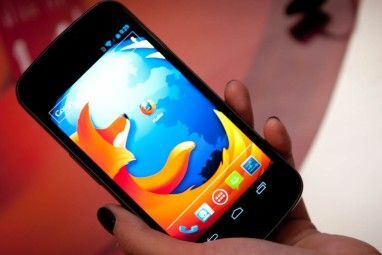 The HTML5-based Firefox OS hasn’t made much of an impact on the smartphone market as yet, but it’s already being deeply embedded in other products. As well as Panasonic smart TVs, Firefox OS is being primed for use on tablets, with a finished product due later this year. The Internet Archive has added a new section Internet Archive Lets You Play Retro Games With The "Console Living Room" Internet Archive Lets You Play Retro Games With The "Console Living Room" The Internet Archive now lets you play all your favourite retro console games. It is expanding to include a new section called the Console Living Room, with console games you can run in your browser. Read More to its Historical Software Collection, with the Console Living Room making hundreds of retro games available to play online directly in a Web browser. The line-up of games includes Pac-Man, Donkey Kong, and Mario Bros, with more due to be added in the future. This will hopefully include some of the classic games that changed the world 10 Video Games That Changed The World 10 Video Games That Changed The World These are the games that changed everything, that signalled the next step in the evolution of video games, and that needed to exist for the video games industry as we know it today to exist... Read More , but only time will tell. And finally, Michael Bay usually comes across as calm, collected, and completely unflappable, but he finally showed us he is human by failing to deliver his scheduled cameo at CES 2014. Bay was due to speak during Samsung’s press event, but suffered a catastrophic brain fart that led to him walking offstage mid-sentence. The movie director was meant to discuss his partnership with Samsung that will see Transformers 4 footage shown off on a curved screen. Unfortunately, the teleprompter failed, and rather than try to rescue the situation Bay exited the stage to hide his embarrassment. Still, it was more entertaining than Transformers: Revenge Of The Fallen, so it wasn’t a complete disaster. Unlike Pearl Harbor. Explore more about: Mozilla Firefox, Yahoo. Thanks for the reminder to check my plugins. It seems that in the most recent version of Firefox, you disable plugins by selecting "never activate". The change in wording puzzled me for a few seconds.